This holster has been discontinued by the manufacturer. 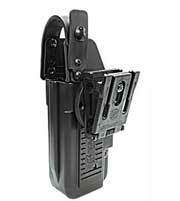 Click here to view the TASER M26c holsters that are still available. If you have any questions or concerns call our customer support staff at 800.960.2015 or click the live chat button on the right side of this page. Our courteous and professional customer support team is always glad to help!